Gwalior city is the major tourist destination in the Indian state of Madhya Pradesh state. The city is located 319 km south of Delhi in the Gird region of India. It is one of the largest cities of the central India and ruled by several historic northern kingdoms. Here in this article we will describe some of the top engineering colleges in the Gwalior district of Madhya Pradesh for the session 2016. 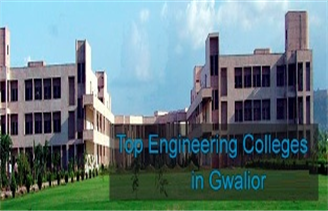 Here in this article we will be listening some of the best engineering colleges in Gwalior. The list includes some private, government and deemed institutions. The candidates can check the list and click on the college link to find more information about the college. The colleges that we have included in our list are rated on the basis of several factors like education quality, placement, college infrastructure etc.